Judith R. Robbins obituary. Carnes Funeral Home. 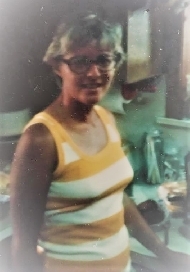 Judith R. Robbins, aged 80, passed at home peacefully on August 18, 2018. Judith was born in La Marque, TX, graduated from La Marque High School, and attended Lamar University. There she met and married Elton Robbins on July 10, 1960. She had a career in secretarial service at Monsanto. She is preceded in death by her parents; La Noma and David Jones. She is survived by her brother; James Jones and, brother-in-law; Nelton Robbins. Rather than flowers please consider donating in Judith’s honor to the Shriner’s Institute at https://www.shrinershospitalsforchildren.org/shc/donate.